Students at Farrer enjoy using ICT to enhance their learning. Students from the Green Team with the pumpkins they grew at the Environment Centre, ready for our pumpkin raffle. Farrer Primary School uniform can be purchased at the Farrer Uniform shop. Farrer Primary School is a school at the heart of its community. Teachers and families work in partnership to provide opportunities to deliver excellence in learning, teaching, curriculum and student achievement. 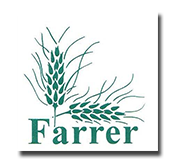 At Farrer the values of honesty, excellence, fairness, respect and persistence are seen as vitally important in the development of responsible citizens. Central to our teaching programs is a commitment to developing students with the skills and abilities to embrace the challenges of the 21st Century through curriculum that focuses on the explicit teaching of Literacy and Numeracy skills along with real world learning units to engage all students in the development, analysis and application of learning concepts. At Farrer Primary School we implement the Australian Curriculum. Our school is committed to providing high quality teaching and caters for the needs of all students. Students are supported and encouraged to achieve their potential and have access to a range of experiences and opportunities. Our reputation in academic excellence and student achievement are complemented by our well respected Japanese, Visual Arts and Environmental Sustainability programs which support students to create and take responsibility of their future. I warmly welcome you to Farrer Primary School. Enrolment Applications for 2020 will be open from 29 April.